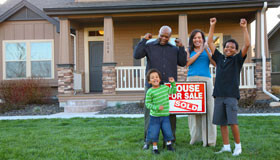 Homeowner’s insurance protects your house and other structures on your property. It also protects your belongings, and offers personal liability protection should someone be injured in your home or on your property. Full replacement cost coverage on your home, outbuildings, and most personal property. Additional Living Expenses should your home become temporarily uninhabitable due to a covered loss. Liability protection should you become responsible for bodily injury of a guest. Legal defense for covered liability claims against you.